Do you need help quickly? Need a locksmith now? Call us at (424) 369-4419 and one of our locksmiths will reach you immediately! Call us now (424) 369-4419 and one of our locksmiths will reach you immediately! * $19 Service call fee will apply** Rates above are estimates only. A more accurate quote will be provided over the phone or onsite. It happens always when you don’t expect. I got my house door broken down by someone who got in and stole our things, mostly jewelry and phones. In the middle of the night I called Leo's Locksmith and I was happily surprised to see how quick and expert their guys are. A fast and excellent job with my house door! Very helpful and quick. I got a hard time to try to repair my office door by myself, but I couldn’t. So, I called Leos Locksmith and the team of experts fixed the door in just 15 minutes… everything ok! 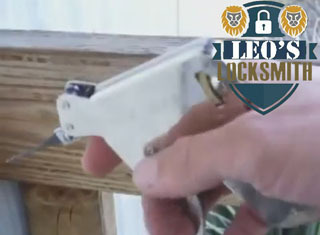 I truly recommend you to consider Leos Locksmith in case of doors that don’t work the right way. I needed urgent help with my car key… I got lost the key and couldn’t open my car, a big trouble and I had to hurry up not to miss the dentist appointment. By luck, I had the phone number of Leos Locksmith in my phone book: a great relief! In less than a hour I was at the dentist waiting room. Looking for the nearest local locksmith? Contact us now at (424) 369-4419. Leos Locksmith service can provide you with fast and efficient local locksmith solutions regardless of what the address of your location is, we can help you. Our Los Angeles locksmith service will reach you in no time. If it’s 3 in the afternoon or 5 in the morning, we're prepared to assist you immediately resume your daily activities. Whether you need your home's door lock fixed or you're locked out of your house, we'll dispatch the nearest locksmith to your location for the fastest response time. Call us now and we'll send over a technician to assist you right away. Our professional crew of technicians is readily available to cater to your needs no matter how simple or complex they might be. Get in touch with us using our number (424) 369-4419 and one of our representatives will immediately handle your emergency locksmith situation! All of our Leos Locksmith technicians are fully licensed and trained in accordance to the Associated Locksmiths of America's requirements. They are bonded and insured so they can provide you with the best instant locksmith services you are in need of, plus, each technician has the training that enables him to make the best recommendations for your current and future security, by providing solutions for your car, house or office. Our crew also constantly keeps up with the latest advances and developments in the industry, so your every locksmith emergency will be handled with the least invasive and fastest services possible. If you’re looking for a qualified local car locksmith service to help you out with your specific automotive locksmith needs, we are the locksmith team to choose. Just lost your car keys? Do you have a broken key in your car's ignition that you need help extracting? Regardless of what your specific auto locksmith or car lockout needs entail, our team of skilled automotive locksmith thechnicains has got the training and experience needed to service all car models, no matter what type of vehicle you drive. 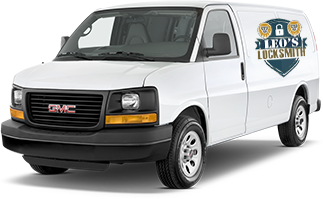 Leo 24/7 los angeles locksmith is available for your service call us now and we will dispatch a locksmith near you. Our car locksmiths nearby to you are available 24 hours a day, 7 days a week. Our technicians are fully insured and provide speedy, reliable services at affordable prices. Get a locksmith near me now! Your home should be a safe space for you and your family. When it comes to protecting your home, no one does it better than your Leos Locksmith nearby. If you’re just moving in, we’ll get your locks updated in case other old keys are out there. If you live in an older home, you routinely need to check your locks for integrity and safety. No matter what your home locksmith needs entail, we’ve got your back. We offer the full spectrum of local locksmith services that ensure the security of your home. Our residential locksmiths service carry a selection of all the best locks in their mobile locksmith vehicles so they are able to install the most secure lock options on your front door right away. By having a higher security option on your home’s entry doors you will be able to rest-assured that you and peace of mind desired knowing that your loved ones are as secure as possible. In the commercial locksmith field there are always updates to security measures that must be made. These security advances are necessary since thieves are always updating their break-in methods to try to gain entry into your businesses. Our job is to help you prevent office thieves from getting their way, keeping your offices secure at all times. Our locksmith rates are truly unbeatable! At Leos Locksmith, our word is our bond. When we give you an affordable locksmith price quote for a particular service, you can be sure that we’ll do our utmost to insure that the job is actually carried out at the price that we quoted. Customer service is our number one priority, and our business model is straight forward: Good services at reasonable price points. No tricks and no gimmicks. We believe in only doing right by our clients by providing them with a solution that’s tailor-made for their specific budget and security needs. Be assured that when you contact us, you’ll be connected with knowledgeable locksmiths who will provide you with excellent services for unbeatable prices. Looking to get help ASAP? We can dispatch the nearest locksmith technician right away to arrive at your location in 20 min! When facing a security related issue, it’s difficult to know where to turn in order to get the reliable services you need. When searching for a locksmith near you, these steps on how to locate a quality locksmith will prove invaluable. We know how important it is for you to find a local locksmith company to help you out with all your lock-related requirements in your time of need. Getting the local locksmith services you require doesn’t have to be a huge ordeal, as our Los Angeles based local company has streamlined the process for you, making it extremely convenient for you to get the professional help you need, right when you need it. 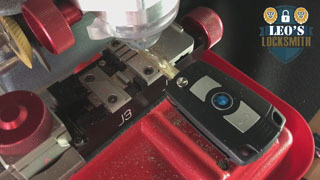 The first step in locating a locksmith that can help you out is doing a bit of online detective work to find a company that hires certified workers who are local and are available when you need them. Once you’ve done your research, you are ready to take the plunge and place a call to the locksmith company you’ve selected. What type of lock do you have that requires our services? Be prepared to provide our phone representative with all the information necessary for us to locate you and give you a price quote. While you are still on the line with our dispatcher, s/he will help you out by locating the nearest locksmith to you, which is done using our GBS mapping and tracking system that lets us know exactly where each of our technicians are at any given time. Once our dispatcher has notified you of which locksmith is available to come to your location and how long it will take him or her to arrive to help you out, you can decide whether or not to avail yourself of our services. If you’re satisfied with the information you’ve been given at this point, our emergency locksmith will get the official ok and is officially dispatched and is on the way to help you out. You’ll get a call from the technician who’s dispatched to help you, with an update on his estimated time of arrival. Now, the only thing left for you to do is to wait for help to arrive. Thankfully, since you’ve already found a locksmith near you, you won’t have to wait long. Within 20 minutes of your calling us up, a locksmith technician should arrive to service all your locksmith needs. Provide you with an on-site assessment and evaluation of the task at hand. Give you a price quote and a project completion time frame. Notify you of all your payment options. Give you a service contract to sign before performing any locksmith service. Our locksmith will then get to work, caring for your specific locksmith needs. Let’s face it; locksmith emergencies like car lockouts and misplaced house keys do come up, and due to the security issues involved, it is imperative that when facing a lock or key related issue, that the issue be handled by a competent, certified locksmith service. Leo's Locksmith is a leading locksmith service provider that provides emergency responses to residents throughout the Los Angeles area. Call us now : (424) 369-4419! How do I get a locksmith service price estimate? We offer affordable locksmith rates on all our services. The simplest way to find out exactly how much it will cost you to have a specific locksmith service done is for you to give us a call. Our locksmith phone lines are open 24 hours a day, 7 days a week for your convenience. If it has to do with the locks and keys in your home, car or office, we can help you out. We cover a wide range of locksmith services on all types of locks and keys. All of our locksmith services are fully guaranteed. If any issue should come up after we’ve completed our services, we’ll come back and resolve the issue free of charge. How to select the best locksmith? When you find yourself in need of professional locksmith services, it is hard to know who to turn to. Our locksmiths are certified and local. Give us a call to get the help you are looking for today. We sure do. Call our locksmith service now and we’ll have someone over to help you out within half an hour. Are your locksmith technicians licensed? Yes, each of our locksmiths is licensed to fix any locksmith issue you are facing. To be sure, ask us to see our documentation! How to find the best locksmith near me? We have locksmiths dispersed throughout your neighborhood. To find a local locksmith near you, give us a call and we’ll send our nearest locksmith out to meet you in no time. How fast can technician arrive? If you are in need of our emergency locksmith services, our technicians can reach you within half an hour. We accept all types of credit card payments, as well as cash. Give us a call today to get the expert locksmith services you need! Ⓒ Copyright 2016 by Leo's Locksmith. All Rights Reserved.